Boy saluting, immigrants arriving in Boston, Photograph by Edmunds E. Bond, ca. 1915. Courtesy of the Trustees of Boston Public Library. 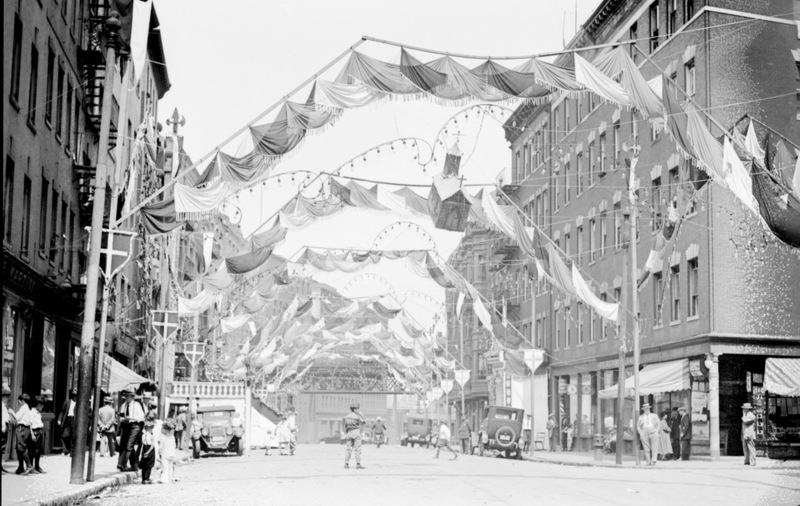 Global Boston is a digital project chronicling the history of immigration to greater Boston since the early nineteenth century. Examining different time periods and ethnic groups, the site features capsule histories, photographs, maps, documents, and oral histories documenting the history of a city where immigrants have long been a vital force in shaping economic, social and political life. To get started, try clicking on the Eras of Migration box below to explore different time periods in the region’s history. 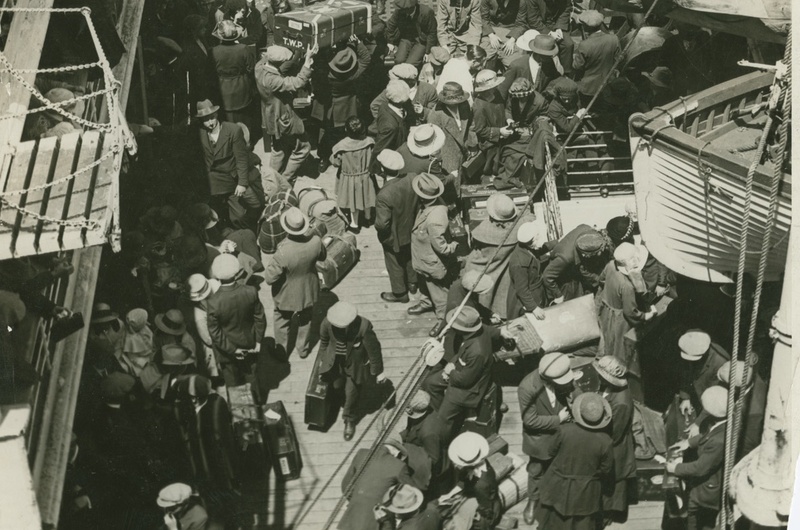 For a good introduction to immigration in the city and beyond, explore four different eras of migration history from 1820 to the present along with an interactive timeline of key events. A perpetual immigrant gateway, Boston has been home to dozens of immigrant groups over the years. Click here to discover the histories and personal stories of the region’s principle ethnic groups. 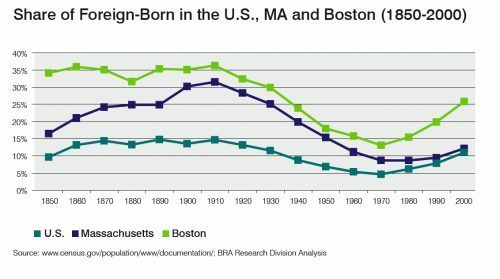 Immigrant communities have flourished across Boston as well as in nearby cities, towns and suburbs. Explore these immigrant places and how newcomers have inhabited and transformed them.